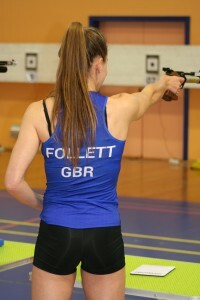 Charlotte has her sights set on the Tokyo Olympics in 2020 in the Modern Pentathlon. 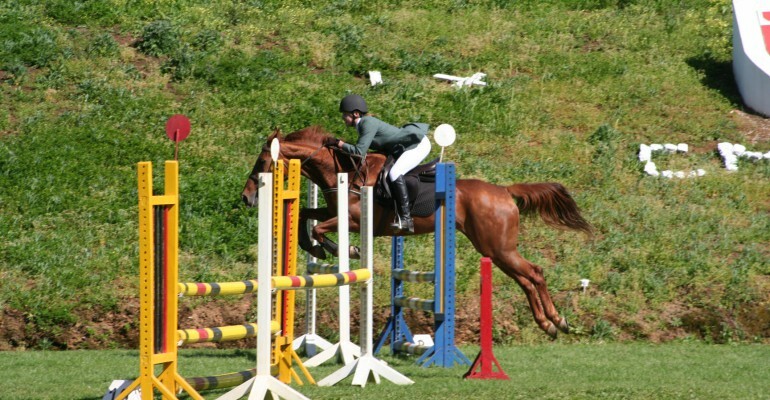 Charlotte is a truly dedicated Modern Pentathlete, which consists of running, swimming, shooting, fencing and show jumping. It is a sport that was created by the founder of the modern Olympic games to represent the skills required of a soldier messenger who needs to pass through enemy territory to deliver important news back to headquarters. The messenger would need to run swim, fence, shoot and ride an unknown horse. Charlotte trains with Bristol Swimming Club, runs 5 times a week in addition to strength and conditioning in the gym. She fences 3 times a week at clubs including Bath MPAGB, Malvern and Wellington Swords and shoots and rides regularly. As you can see it’s a packed schedule and a modern pentathlete has to commit a lot of time to training in very different disciplines. This year so far Charlotte has competed well in the British Ranking competitions and has been invited to compete abroad as a member of the senior team. 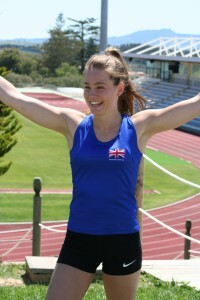 Charlotte’s most recent competition held in Lisbon saw her achieve personal bests in both the swim and run phases and winning that competition overall. As a result she is in with a fighting chance of qualification to represent GB in the Junior World Championships. Should Charlotte miss that goal, her target is to ensure selection next year and to gain a podium finish. Charlotte’s priorities are to train hard and maintain the improvement rate she is already experiencing. Charlotte needs to stay injury free and motivated to continue training and loving the sport. Charlotte’s next competition in Switzerland will give her more feedback as to how her training is going. Charlotte’s ultimate target is to compete in the 2020 Olympics in Tokyo. Best of luck out in Switzerland Charlotte! We’re very happy to be supporting Charlotte this year and hope that her hard work and dedication pays off with some strong results.